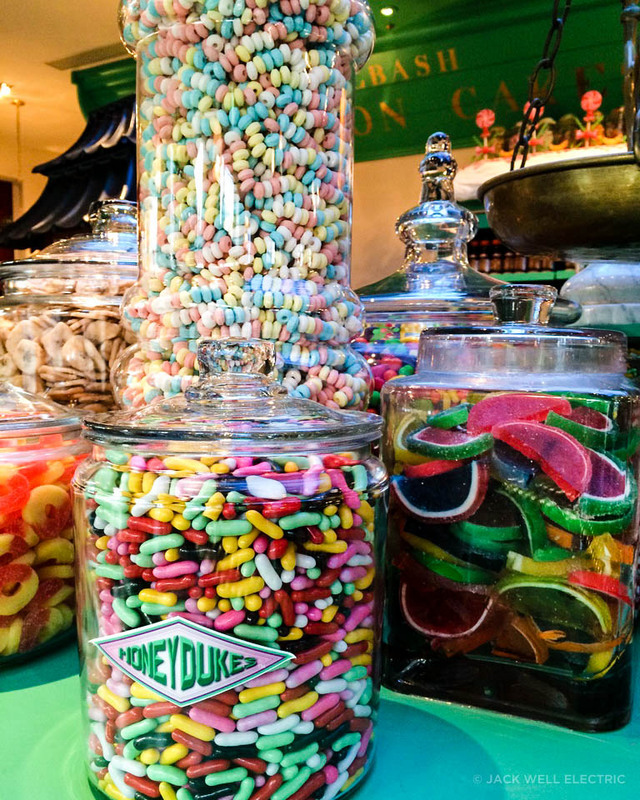 In case you missed last week’s blog post, Liam and I visited Universal Studios and spent a fair chunk of time in The Wizarding World of Harry Potter. So much time in fact that it needed it’s very own post! This was our first time at any of the Harry Potter theme parks and holy Hippogriff it’s INCREDIBLE! 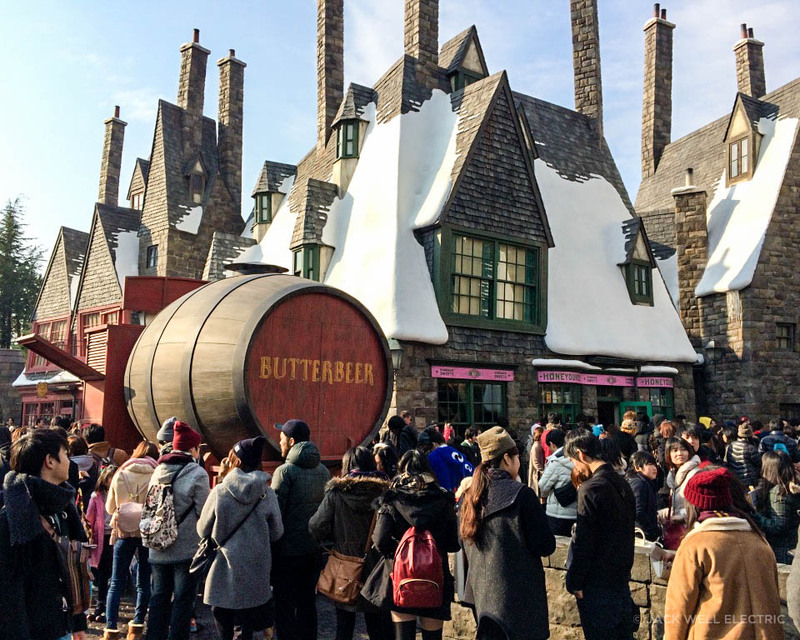 The theming, the music and the cast members make it really feel like you’re at Hogsmeade. I just want to pack all my belongings into a trunk, buy a cat and come live here forever. 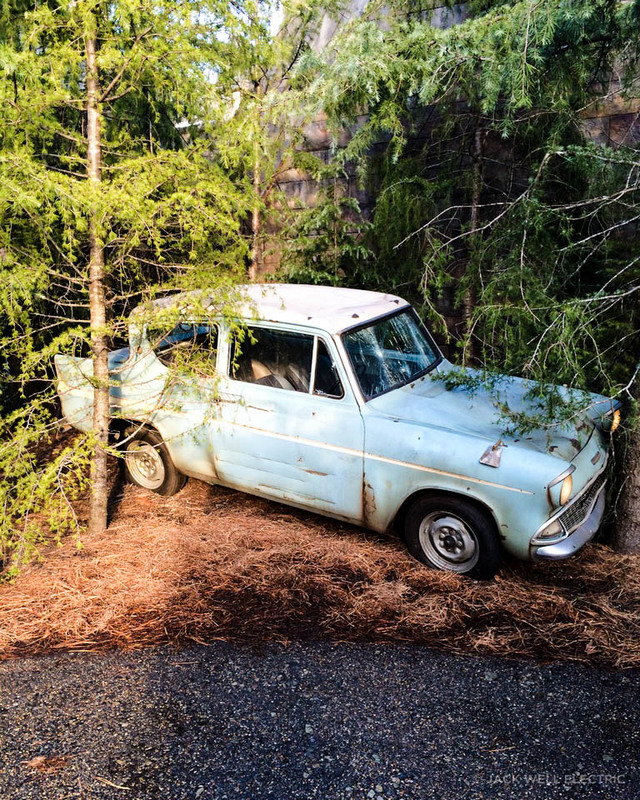 We followed the orderly stampede through the “forest”, past the flying Ford Anglia and through the Hogsmeade gates and was greeted by the Hogwarts Express. 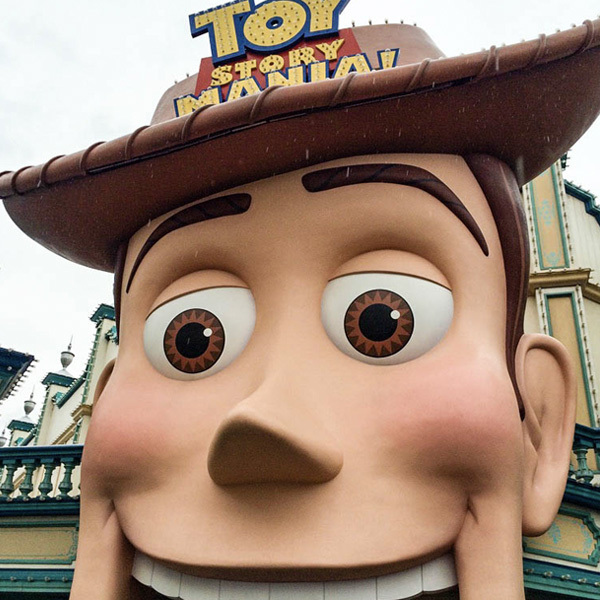 We noticed that practically everyone headed straight to the two rides in the area, so there was no wait to get inside the shops. We didn’t end up going on Harry Potter and the Forbidden Journey or Flight of the Hippogriff because the wait times were already at 2 hours. We checked the times for both of these rides later in the day and the wait had increased to 4 hours! I recommend either doing the rides first thing in the morning or buying an Express Pass. I solemnly swear I’m up to no good. 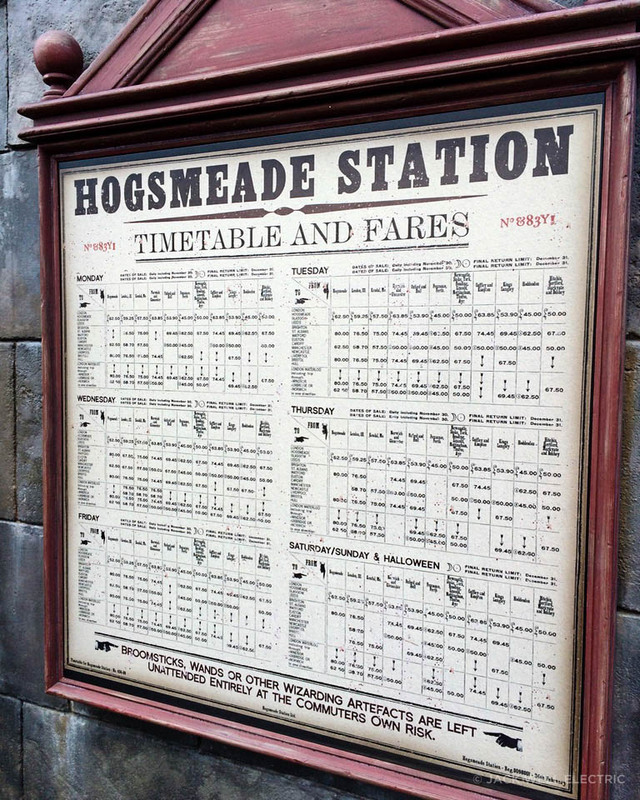 One way ticket to Hogwarts please. 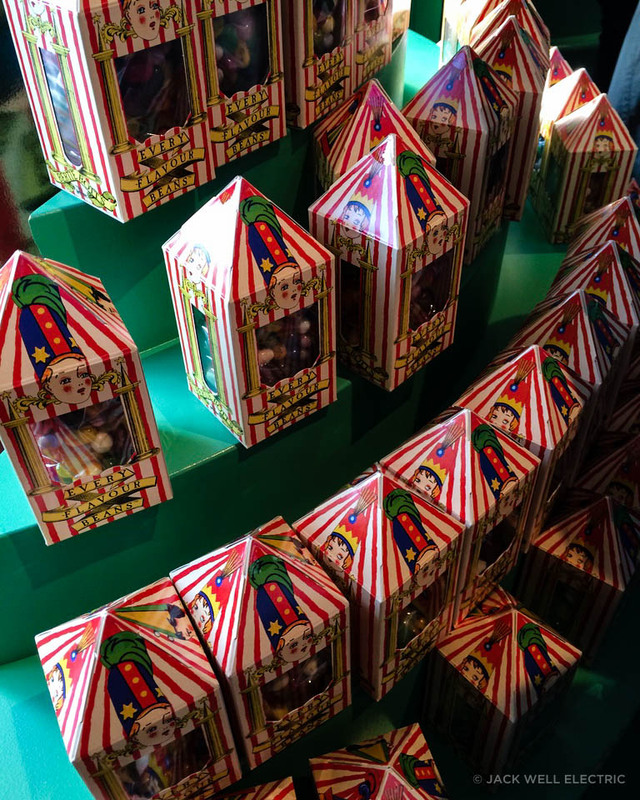 Liam and I went to Honeydukes first and bought Chocolate Frogs and Bertie Bot’s Every Flavour Beans. These items were a little on the pricey side, but worth it. 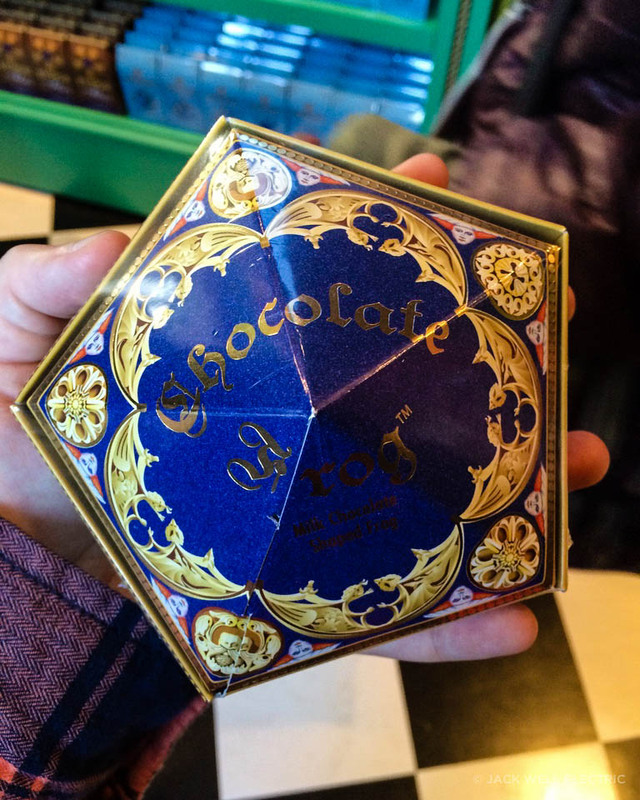 They also make excellent souvenirs for friends and family (even though we ate all of ours before we could give them away). 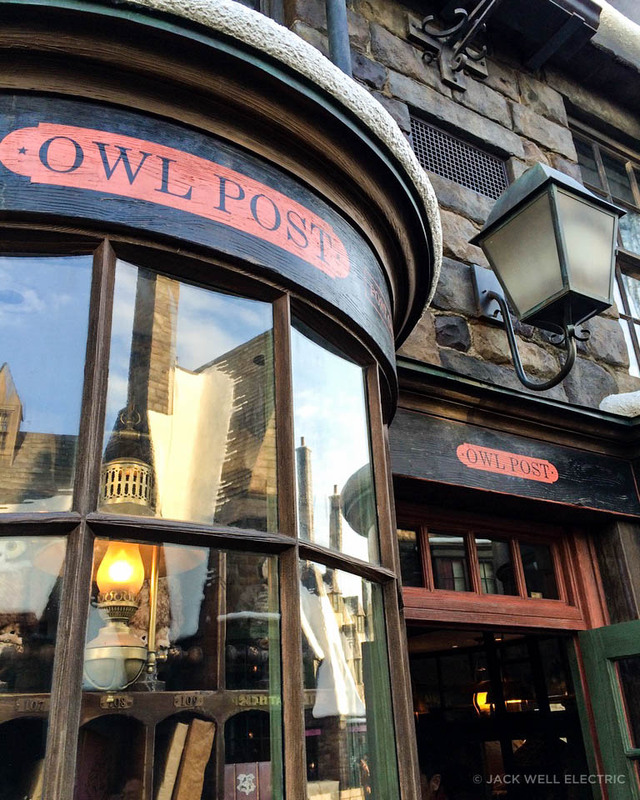 We wandered through Zonko’s Joke Shop, Wiseacre’s Wizarding Equipment, Gladrags Wizardwear and the Owlery before stopping at Ollivanders to buy a wand. Yes we, full grown adults, bought wands. 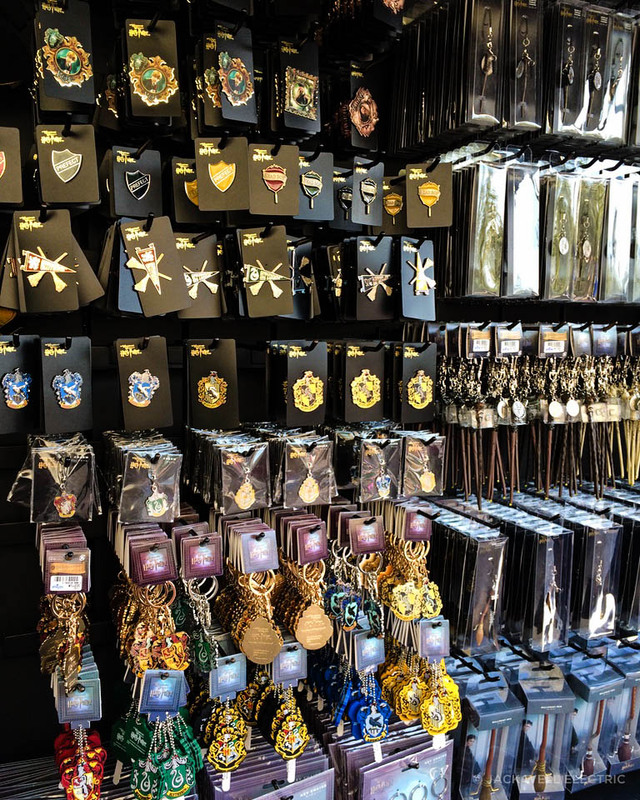 It’s kind of hard not to buy one when you’re surrounded by so much magic! Liam got a Sirius Black replica wand and I got Severus Snape. 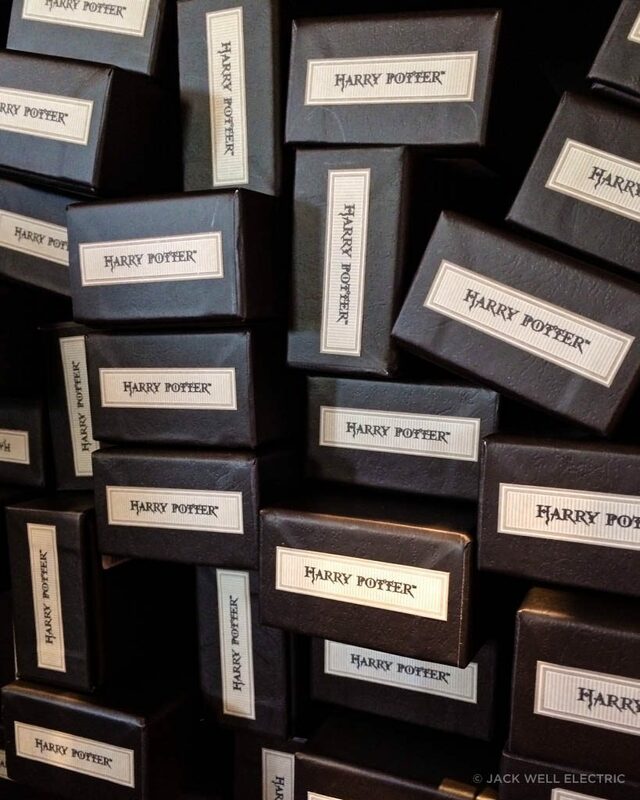 There is a replica wand for nearly every character in the series or you can choose your own. 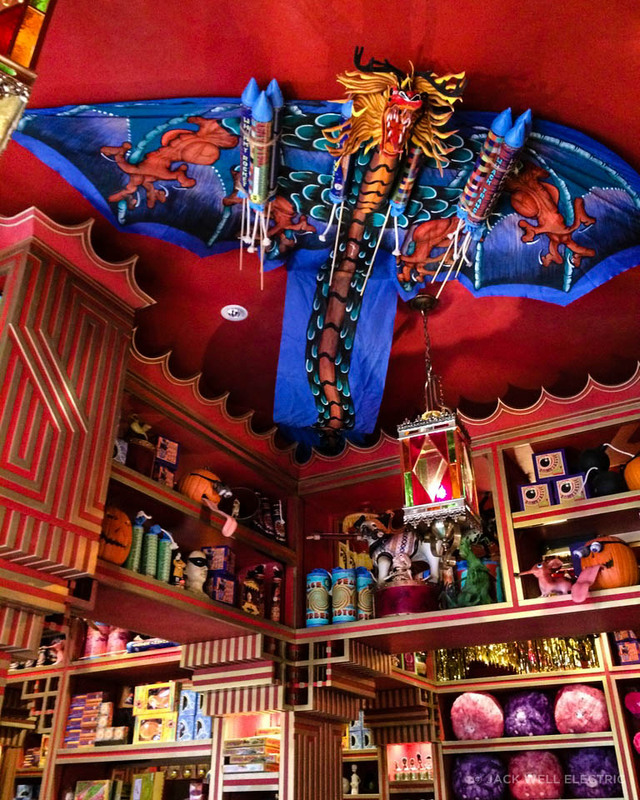 Zonko’s extremely colourful joke shop. The wand choses the wizard. 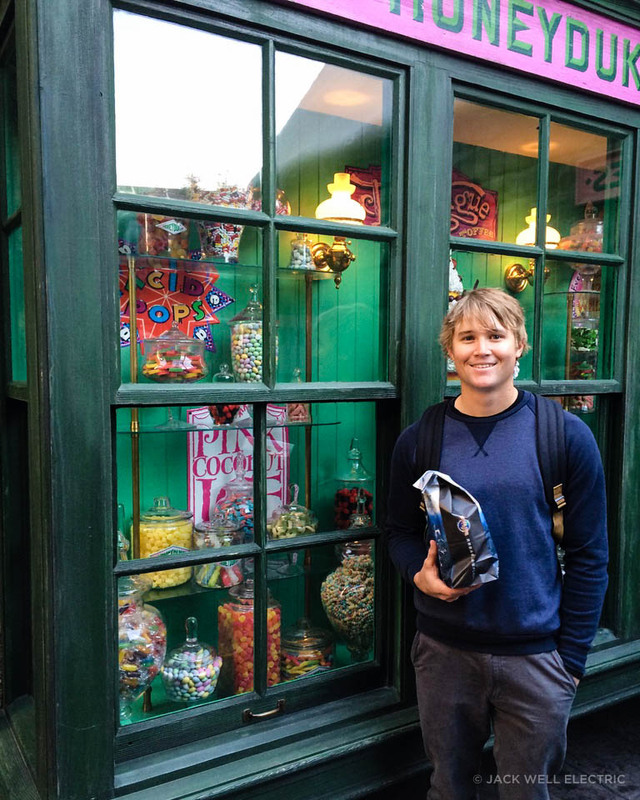 With wands in hand, we popped into Filch’s Emporium of Confiscated Goods to buy a mug and I seriously considered buying a Marauders Map (but seriously, what would I do with it?) before visiting Dervish and Banges to get House scarves. Liam got Gryffindor and I got Ravenclaw. We actually wore these scarfs nearly every day for the rest of our trip. 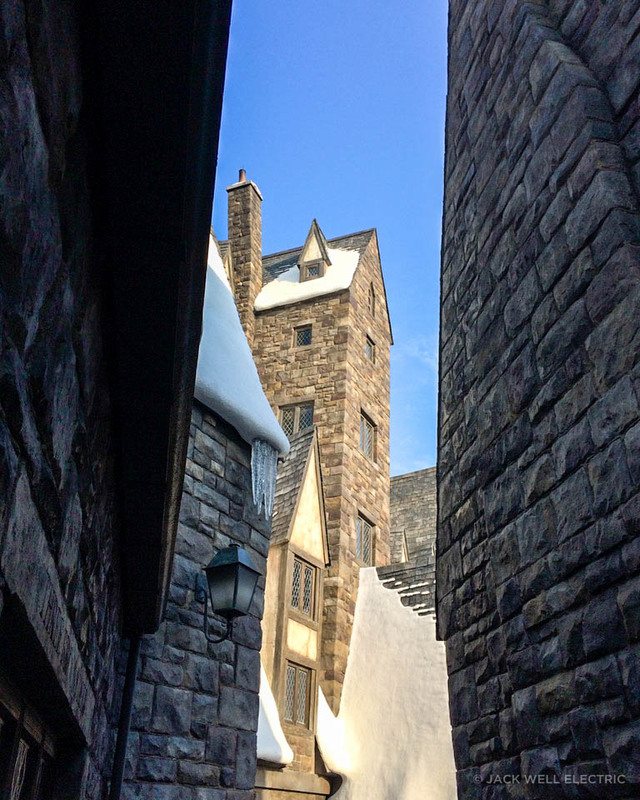 It was so cold, I didn’t care who knew I was Ravenclaw! Despite the crowds, I actually thought the area was quite peaceful. The music is really soothing and the thatched roofs are covered in snow. 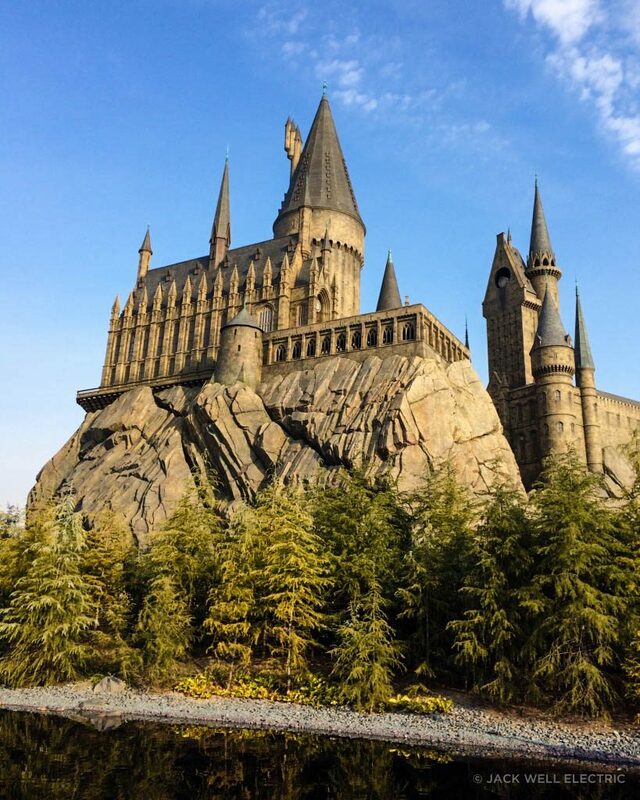 The Hogwarts castle overlooking the lake is amazing! Plus there’s a ton of cool photo opportunities around and lots of little live performances. Love the little hidden alleyways. I’ve found my new home. 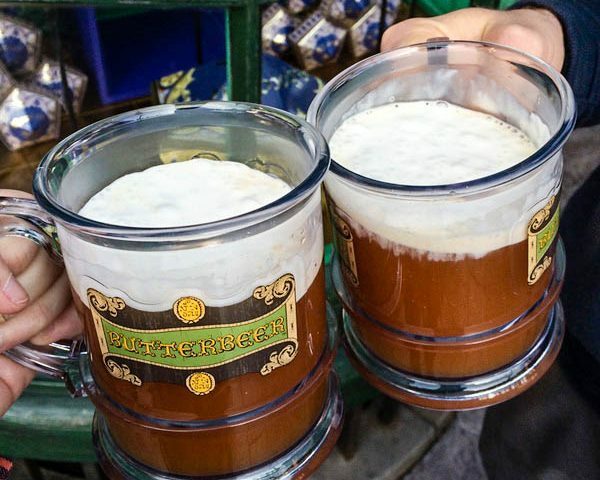 We finished our Harry Potter experience with some hot Butterbeer. It’s tastes exactly like I imagined! Warm butterscotch with a very sweet aftertaste. 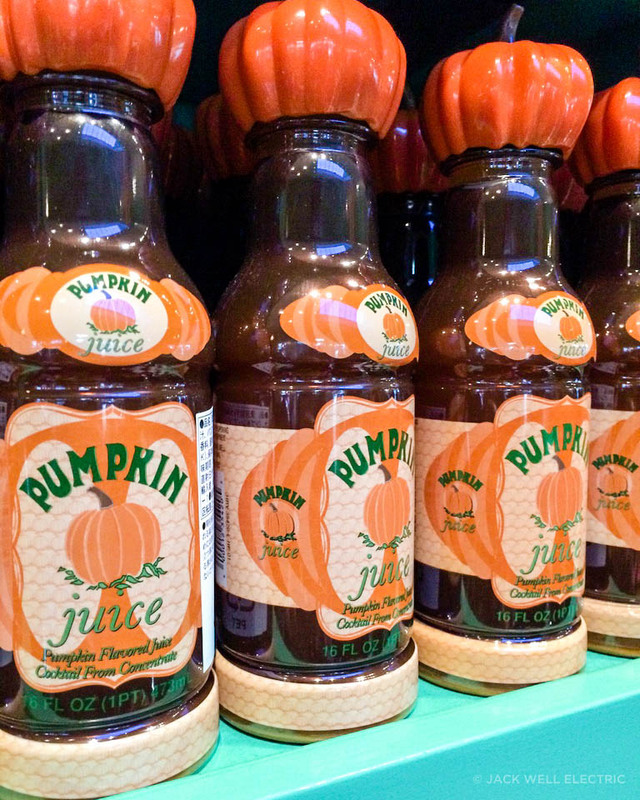 We bought ours from a kiosk, but you can also get it from the Three Broomsticks and the Hog’s Head. 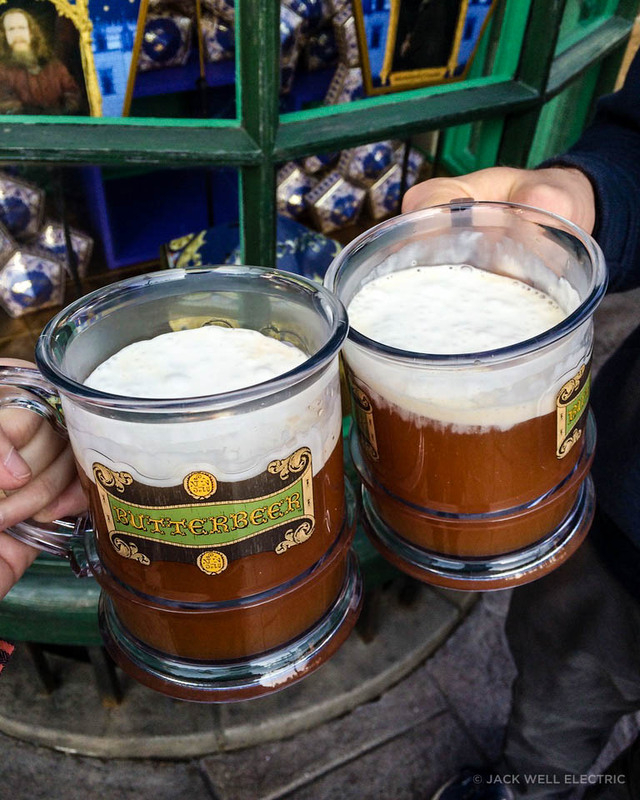 We spent a little extra to get the Butterbeer served in the collectible plastic stein and I’m glad we did because we still use them nearly everyday. 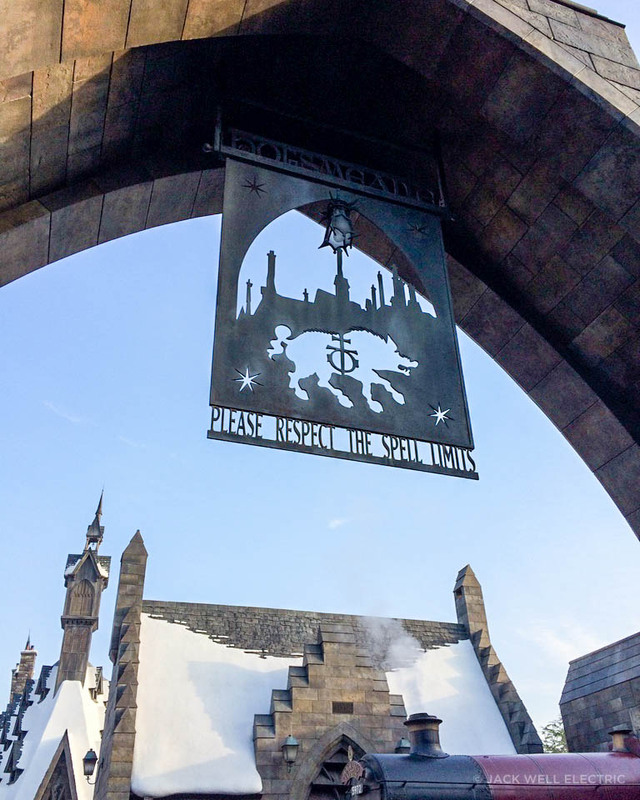 Tip: I definitely recommend visiting the Wizarding World of Harry Potter first as it just gets more and more packed as the day goes on. Once it gets full you need to obtain a timed ticket before you’re allowed to enter.